I see Meh's been signing in from sunny Portugal, why don't you let the troops know how your getting on my man ? How's the crystal meth there and have you sampled the local lady boys ? 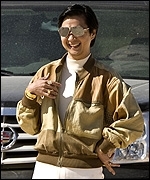 PM me your digits and I'll get Mr. Chow to stop by with some smoaking biatches for some debauchery.